One of the most useful but least utilised of promotional products is medical equipment. Essential for doctor's offices and many retail stores, first aid kits are an essential piece of kit that should always be on hand. In emergencies, these contain a whole range of tools to help with a variety of issues. Show that you keep the wellbeing of your customer at heart and give them bandaging material. Do you want a box with practical click-lock or prefer a soft case? 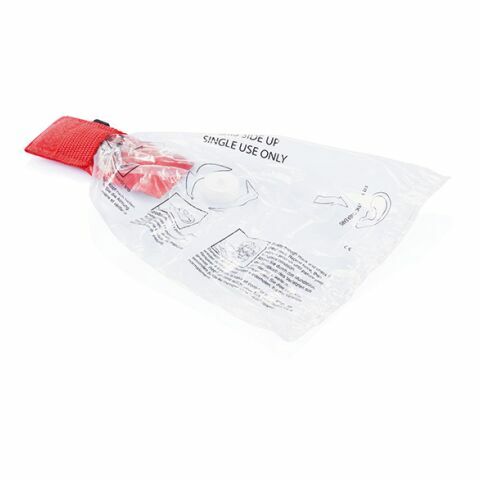 Depending on the version the boxes can contain plasters, scissors, dressings, fixation bandages and disposable gloves. Of course all the products are high quality. You can choose between various sizes, designs and a wide range of attractive colours! Make sure your brand is remembered by giving out promotional healthcare products and equipment. Being healthy is often something that we often take for granted, especially when there's nothing wrong! It's only when we take a fall or get into an accident that we think about safety. Many buildings and companies keep first aid kits on hand, for those rare instances that someone is hurt or ill. They are essential to have, and your business can show how important your clients safety is to you by distributing promotional medical supplies. For doctors offices, for schools, and a large variety of other institutions, these supplies will be invaluable for any recipients. The different kind of giveaway! 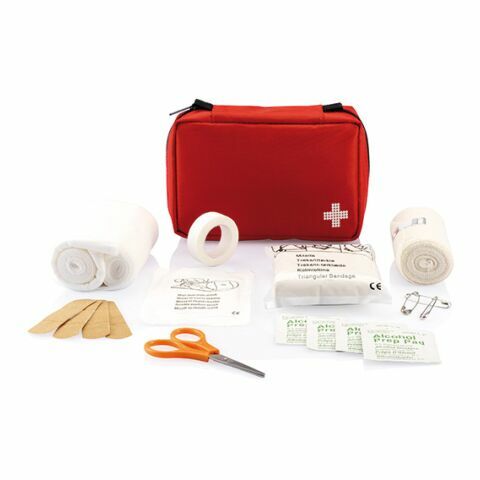 allbranded offers you a wide selection of different first aid kits. Do you want a plastic box with practical click lock? These are available in various sizes and with different content. These include (depending on the type) patches, custom printed plasters, fixation bandages, scissors, disposable gloves and dressings. Of course we offer a wide selection of attractive colors. Do you prefer a fabric case? You can also make this with allbranded easily and order conveniently. allbranded can print all advertising Products quickly and conveniently with your company logo. Show responsibility and adorn our variant of practice products boxes with your logo, in order to be represented meaningfully! CREATE A POSITIVE IMPRESSION WITH PRACTICAL ACCESSORIES FROM ALLBRANDED! For doctors that own their own practice, these kits would make thoughtful gifts for your patient's. You opening a new practice? The advertising Products by allbranded are also excellent for clinics, health insurance companies and other institutions in this sector and are useful giveaways for every target group. Operate modern merchandising and show responsibility. Provide your customers with individually printed practice items and show your care and reliability! A great example of this is a dental surgery giving customers printed dental care products on their way out of an appointment. It shows that they are willing to go the extra mile to ensure their clients health is the best it can be and will make them more comfortable coming back in the futute. Our online shop of allbranded lets you obtain the perfect advertising article easily. Order quickly and conveniently from your office chair. Order today and become a friend in need, with the practice items from allbranded!